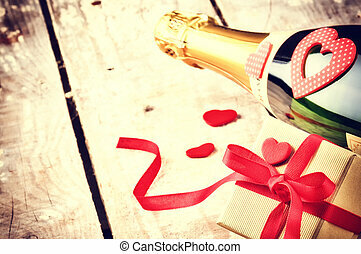 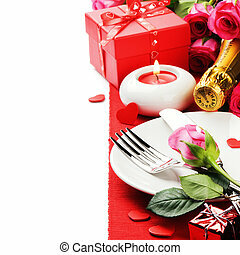 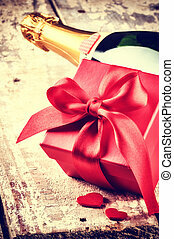 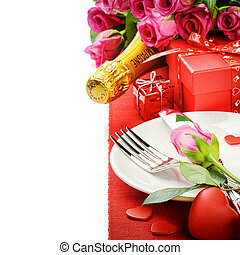 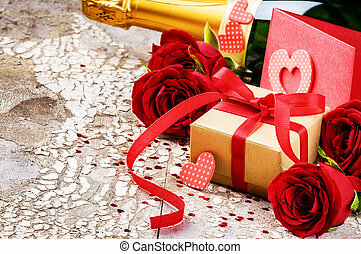 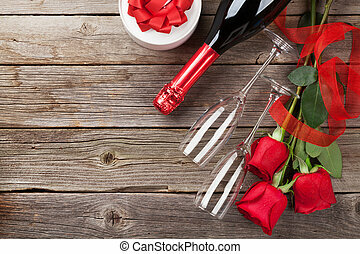 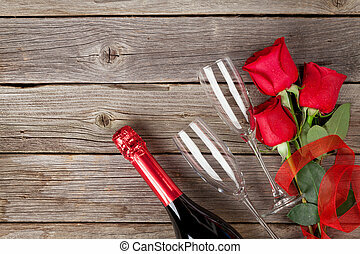 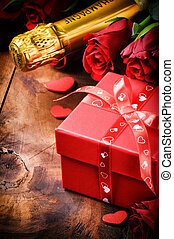 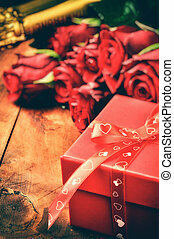 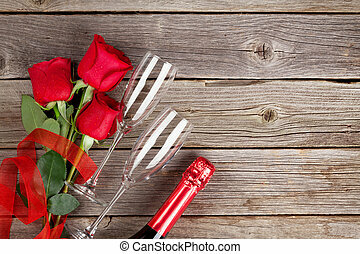 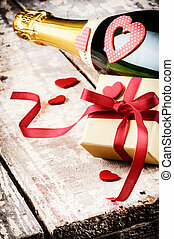 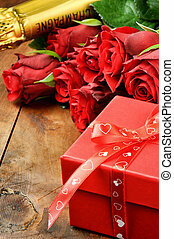 Valentine's setting with red roses, champagne and gift on old wood background. 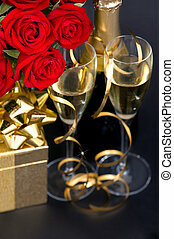 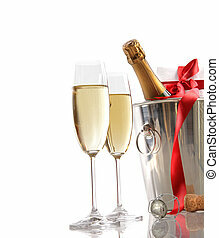 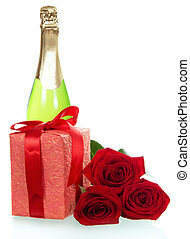 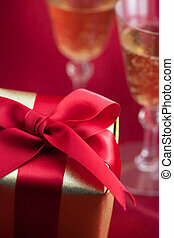 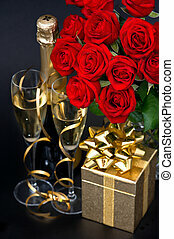 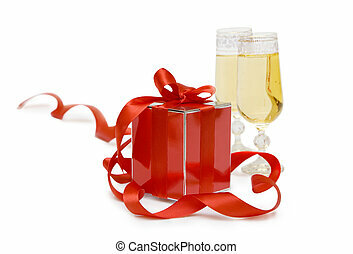 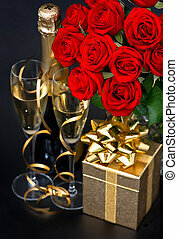 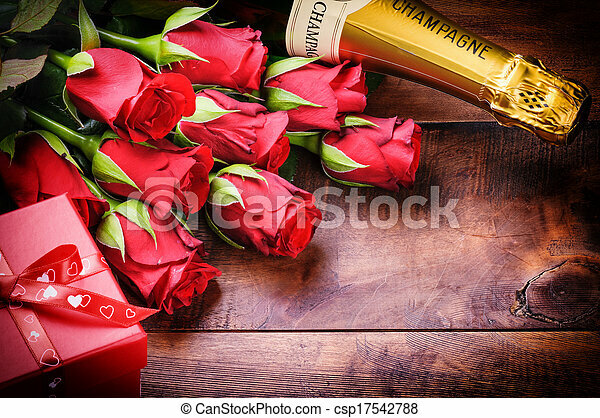 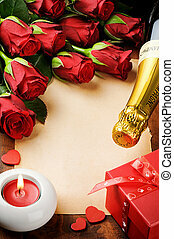 red roses, bottle of champagne, golden gift with beautiful fireworks on black background. 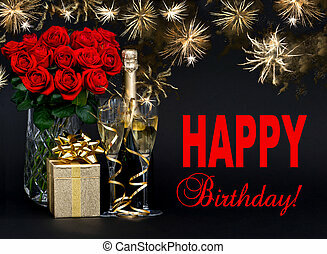 card concept with sample text Happy Birthday! 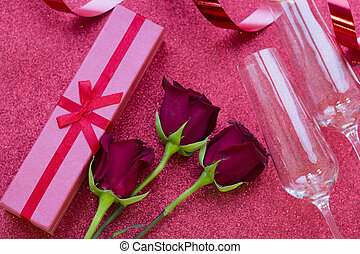 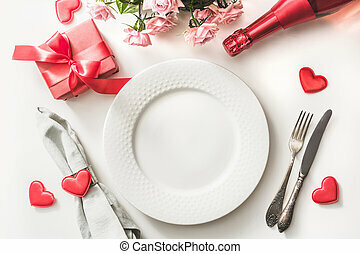 Valentines day dinner with table place setting with red gift, a bottle of champagne, pink roses, hearts with silverware on white background. 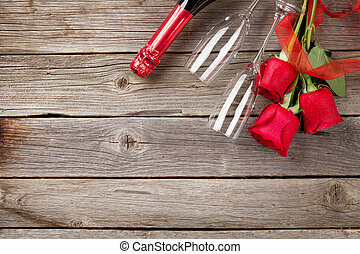 View from above. 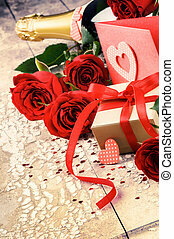 Valentine's card.